From the radical attacks on the Second Amendment to the mind-numbing laws that are killing the full term unborn, we are quickly becoming a nation of the weakest kind. Its no wonder we have to have a talk about Food and Firearms. You know Gandhi said you can tell a lot about a nation based on how they treat their animals. I am sure he never thought he had to include something about babies in that line. Fast forward to 2019 and we are better to our dogs than we are to our infants. Zoom out and you see the Indo-Pak war heating up, we see preppers preparing to face off against Brexit shortfall, France is on fire and the yellow vests are raising hell, Venezuela is still a mess and we haven’t even talked about the 2020 elections. I have been thinking about FOOD lately. Food is power and it is liberty. It’s hard to have a conversation about self reliance if we aren’t talking about food. 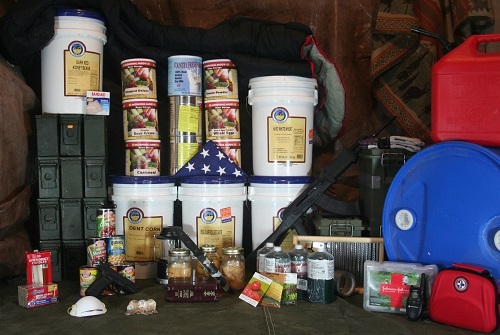 Food storage has taken the passenger seat in my life and is getting much of my attention. The constant assaults on our Second Amendment aren’t going away either. We all know that firearms are freedom as well. So in this episode of the, I AM Liberty Show we are going to talk about those 2 forms of freedom and how we must preserve them. You should look into building firearms as much as buying them. Understanding parts and pieces go a long way. If you want to feel like a modern-day gunsmith invest in an 80 percent AR lower and an 80 lower jig to bore it out. I cannot help but feel like we are running out of time. Maybe not on the big collapse but on an event that will stud the history books and those who are prepared for it may be able to walk away unscathed or at least to a lesser degree! Start with food. Secure with firearms. Fight for our rights to control both or else we will be on our hands and knees.